There was this one time in South Korea. My husband and I were waiting for the train to the airport. I waited in line to exchange money at the bank in the train station while he kept watch of our bags. I was waiting for 1.5 hours. After all that time I get told they don't carry the currency I needed - so it was a totally unproductive wait on my part. However, in that time my husband had very precisely hand-sown a pocket into his cloth carry-bag to perfectly hold our tablet. This was the third sewing stint he performed in 3 weeks, including sewing a borrowed zipper onto that same bag and fabricating a protector for my tablet from a laptop cover that we no longer needed. I quickly realized his hidden talent and I looked at him in a whole new light. He is damn good with a needle and thread (and maybe a bit obsessed with organization/electronic protection? ), and I no longer need to hem my own pants. That's how I feel about white chocolate. This stuff right here is white chocolate like you've never known it. It has a secret identity. It's not just white chocolate anymore. It is toffee, caramel, nutty, rich, buttery and beautiful. It can't sew, but I promise you will never look at it the same way. You will not be able to stop eating this and you will put it on everything. Technically, TECHNICALLY, it is Maillard browning reactions - not caramelization - that transforms this milky white confection into golden brown creaminess. 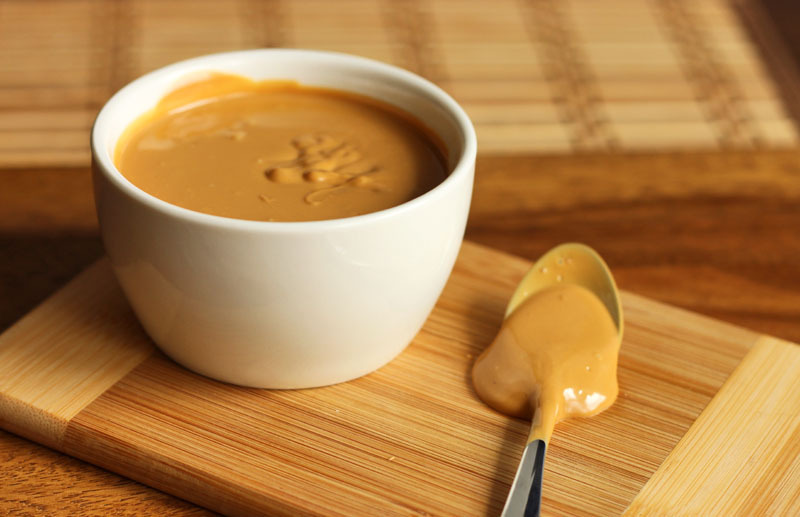 It's the protein from the milk solids that react with sugars in a series of complex reactions to produce a heap of delicious flavours - flavours that are roasty, nutty and caramel-like. These reactions also form brown colour compounds. You can caramelize any pure white chocolate - pure meaning that it contains only cocoa butter as its source of fat. No vegetable oil! But, for best results I recommend using a very high quality white chocolate with a high cocoa butter content of at least 30%. That will give you ultra smooth caramelized white chocolate. A cheap and cheerful (but still real) block from the candy isle in the supermarket will still caramelize, but it will tend to stiffen up more readily and be more difficult to spread. You just need to be more patient with it and keep an eye on it. I'm sorry (not that sorry) for telling you all this, because it will consume you. This stuff is gold. Place chopped white chocolate or callets into an 8x8-inch glass baking dish and spread it out in an even layer. Place in the oven for 10 minutes. Remove from oven and stir the chocolate, moving it back and forth, and swirling it around. At this point it shouldn’t have changed colour at all – it should still be creamy-coloured and just melted so that when you spread it, it smooths out nicely. Now place it back in the oven for a total of 40-50 additional minutes, stirring thoroughly every 10 minutes. After the first 20 minutes it will start to caramelize and turn a golden honey brown colour and it will stiffen up. Just continue spreading it, forcing it to smooth out until it looks shiny and glossy again. It will smooth out. Note – do not touch or taste the chocolate when it is baking – it is very, very hot! 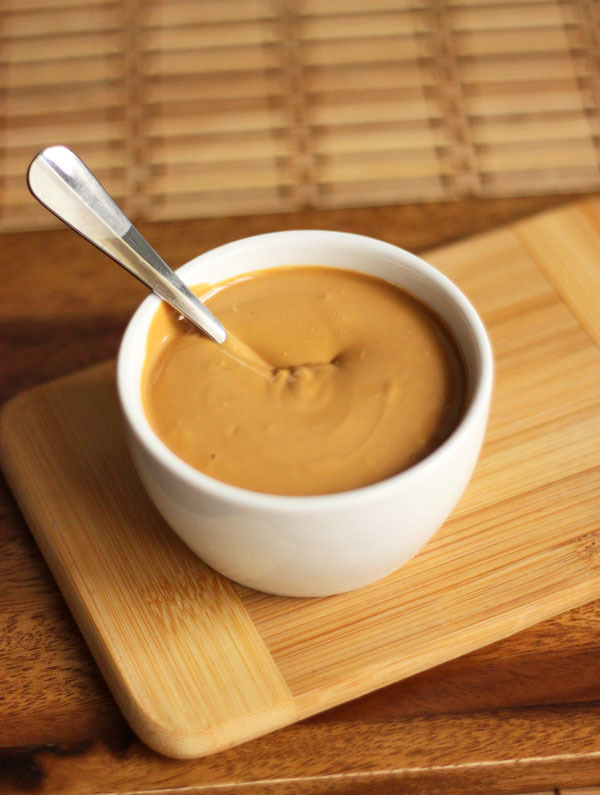 After 40 or 50 minutes it should look like peanut butter, and that is when it is done. If your oven is too hot, or you forget to stir it, it might burn and completely seize up stiff, making it impossible to spread. If this happens, don’t throw it out! It still tastes excellent and you can crumble it over tarts or bake it into cookies and brownies. You will LOVE it. And you will eat it all! Be warned. I had never even thought about something this creative before! Thanks for sharing!!! You should try it - it's so darn good! Sounds delicious. Do you store this in the fridge or will it stiffen up too much?